This multi-purpose Massage Creme by Earthlite with pure lavender essential oil is the perfect alternative to oils and lotions. It is long lasting and has the glide and feel of oil with the absorption of a lotion. Your client's skin will feel soft, smooth and silky without any residue. Pure lavender oil helps create a feeling of well being, peace and love and may be beneficial for many skin conditions. We have added vitamins A, E, and C to repair, nourish and moisturize the skin. Pure ingredients and integrity make a difference you can feel. Save $2! The Index Knobber II was developed as a device to be used by practicing, hands-on therapists. Therapists who use The Index Knobber II in treating patients find it extremely helpful in applying precise pressure to soft tissue trigger points. 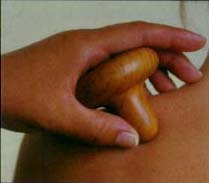 It also reduces overuse injury to the therapists' hands brought on by the stress of hands-on deep muscle massage, trigger point compression and similar techniques. 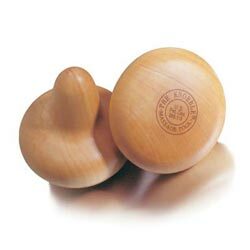 The soft shape and smooth feel of the Index Knobber II and its unique, ergonomic design, allows its use over clothing or with massage oil directly on the skin. 100% luxurious thick cotton flannel bolster cover makes your vinyl bolster warm and comfortable against bare skin. Also prtects the surface of your bolster against wear and scratches. For a sanitary and appealing surface every time, use one of these covers on your bolster. Only available in white for 6" full round bolsters. Save $2! Small enough to carry anywhere, yet effective for deep tissue and pressure-point work on every part of your body. Use the Knobble manually to save hands, increase power, and make tough spots easier, or lie on it or lean on it in a chair to work on your back and other hard-to-reach areas. Widely used and recommended by physical therapists, chiropractors, massage therapists, and other health professionals. Made in USA of tree-farmed maple; non-toxic finish. Save $2! The Knobble gives your hands more power when they need it. Bodyworkers often use the Knobble to save wear and tear on their hands when working on tough spots. 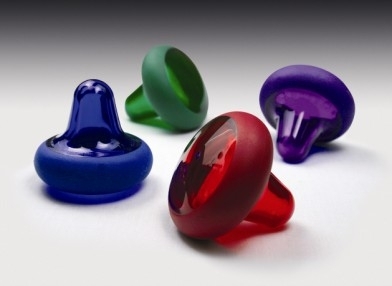 The Knobble comes to feel almost like a part of your hand and can be held with your fingertips touching the receiver's body. You can massage yourself with the knobble and not tire out your hands! Order processing time: 1 week. Washable, reusable face rest covers made of 100% cotton 180-thread count flannel. These face cradle covers come in a set of two and have a 3 panel design that allows�them to fit snugly around inside and outside of most face rest cushions. Available in natural and white. Save $2! Stop reaching for the bottles of oil or lotion! Have two always by your side with one of these holsters. Available in many colors, these holsters are made of durable and easily washable nylon. Comes with two 8 oz. bottle for lotion or oil. Save $4! High quality soft flannel flat top sheet measuring 44" x 80". Available in natural color, white, lavender and pale blue. Save $2! ** note ** Lavender is sold out.